1. sup­port­ing research that demon­strates the rich and com­plex his­tor­i­cal lega­cies and entan­gle­ments between Europe and the Mid­dle East. 2. reex­am­in­ing genealog­i­cal notions of myth­i­cal ‘begin­nings’, ‘ori­gins’, and ‘puri­ty’ in rela­tion to cul­ture and soci­ety. 3. rethink­ing key con­cepts of a shared moder­ni­ty in light of con­tem­po­rary cul­tur­al, social, and polit­i­cal entan­gle­ments that super­sede iden­ti­ty dis­cours­es as well as nation­al, cul­tur­al or region­al canons and epis­te­molo­gies that were estab­lished in the nine­teenth cen­tu­ry. * CITIES COMPARED: COSMOPOLITANISM IN THE MEDITERRANEAN AND ADJACENT REGIONS: This research group is direct­ed by Ulrike Fre­itag and Nora Lafi, both of the Cen­tre for Mod­ern Ori­en­tal Stud­ies, Berlin. It con­tributes to the debate on cos­mopoli­tanism and civ­il soci­ety from the his­tor­i­cal expe­ri­ence of con­vivi­al­i­ty and socio-cul­tur­al, eth­nic, and reli­gious dif­fer­ences in the cities around the Mediter­ranean. * ISLAMIC DISCOURSE CONTESTED: MIDDLE EASTERN AND EUROPEAN PERSPECTIVES This research group is direct­ed by Gudrun Krae­mer, Insti­tute for Islam­ic Stud­ies, Freie Uni­ver­si­taet Berlin. It ana­lyzes mod­ern Mid­dle East­ern thought and dis­cours­es in the frame­work of the­o­ries of mul­ti­ple or reflex­ive moder­ni­ties. * PERSPECTIVES ON THE QUR’AN: NEGOTIATING DIFFERENT VIEWS OF A SHARED HISTORY This research group is direct­ed by Ange­li­ka Neuwirth, Sem­i­nar for Ara­bic Stud­ies, Freie Universit?t Berlin, and Ste­fan Wild, Uni­ver­si­taet Bonn. It sit­u­ates the foun­da­tion­al text of Islam with­in the reli­gious land­scape of late antiq­ui­ty and com­bines a his­tori­ciza­tion of its gen­e­sis with an analy­sis of its recep­tion and per­cep­tion in Europe and the Mid­dle East. * TRAVELLING TRADITIONS: COMPARATIVE PERSPECTIVES ON NEAR EASTERN LITERATURES This research group is direct­ed by Friederike Pan­newick, Cen­trum fuer Nah- und Mit­telost­stu­di­en, Philipps-Uni­ver­si­taet Mar­burg, and Samah Selim, IREMAM, Aix-en-Provence. It reassess­es lit­er­ary entan­gle­ments and process­es of can­on­iza­tion between Europe and the Mid­dle East. * TRADITION AND THE CRITIQUE OF MODERNITY: SECULARISM, FUNDAMENTALISM AND RELIGION FROM MIDDLE EASTERN PERSPECTIVES This a spe­cial forum, direct­ed by Amnon Raz-Krakotzkin, Ben Guri­on Uni­ver­si­ty, that attempts to rethink key con­cepts of moder­ni­ty like sec­u­lar­i­ty, tra­di­tion, or reli­gion in the con­text of the expe­ri­ences, inter­pre­ta­tions, and cri­tiques of Jews, Arabs, and Mus­lims in the Mid­dle East and in Europe. The fel­low­ships are intend­ed above all for schol­ars of his­to­ry, lit­er­a­ture, philol­o­gy, polit­i­cal phi­los­o­phy, reli­gion and soci­ol­o­gy who want to car­ry out their research projects in con­nec­tion with the Berlin pro­gram. Fel­lows gain the oppor­tu­ni­ty to pur­sue research projects of their choice with­in the frame­work of one of the above-men­tioned research fields and in rela­tion to the pro­gram ‘Europe in the Mid­dle East — the Mid­dle East in Europe’. In Berlin, they will be inte­grat­ed into a uni­ver­si­ty or non-uni­ver­si­ty research insti­tute. 2. a 2 to 4 page project sketch. 4. a let­ter of rec­om­men­da­tion by one uni­ver­si­ty instruc­tor. For fur­ther infor­ma­tion on the pro­gram ‘Europe in the Mid­dle East — The Mid­dle East in Europe’ and for detailed infor­ma­tion on the research fields, please see: www.eume-berlin.de. For infor­ma­tion on the research insti­tu­tions in Berlin par­tic­i­pat­ing in the pro­gram, please vis­it: Berlin-Bran­den­burg Acad­e­my of Sci­ences: Berlin-Bran­den­burg Acad­e­my of Sci­ences. Cen­ter for Lit­er­ary Research. Cen­tre for Mod­ern Ori­en­tal Stud­ies. Insti­tute for Islam­ic Stud­ies. Sem­i­nar for Ara­bic Stud­ies. Wis­senschaft­skol­leg zu Berlin. 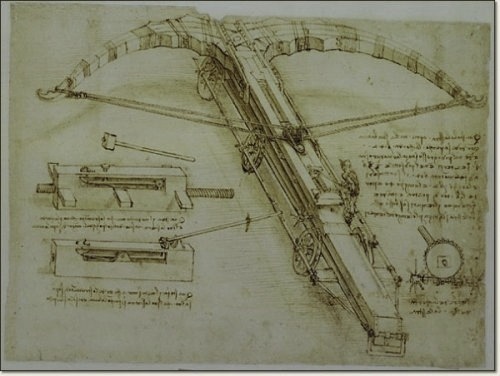 Leonar­do da Vin­ci (1452–1519), Giant field cross­bow mount­ed on wag­on wheels. 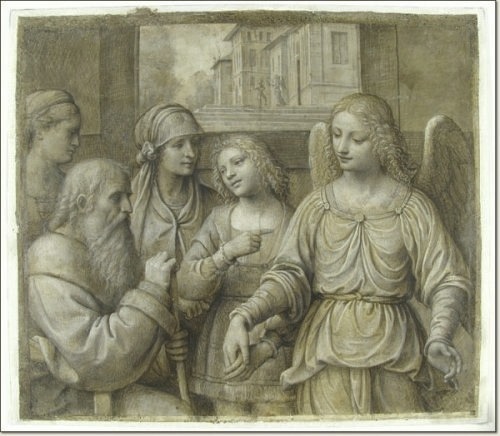 Codex Atlanti­cus 1478–1518. Folio 149rb. Podéis vis­i­tar de man­era vir­tu­al las galerías de la Ambrosiana en este lugar. A los que les interese pasar una tem­po­ra­da en la Ambrosiana inves­ti­gan­do, deberían estar pen­di­entes de esta pági­na, puesto que se lee por ahí que en breve lan­zarán la ofer­ta de becas para estancias, de momen­to, podéis solic­i­tar más infor­ma­ción en info[at]ambrosianafundation.org.